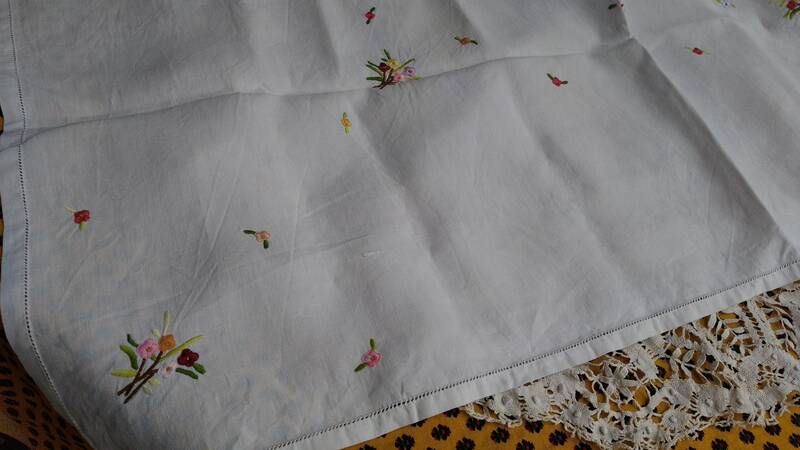 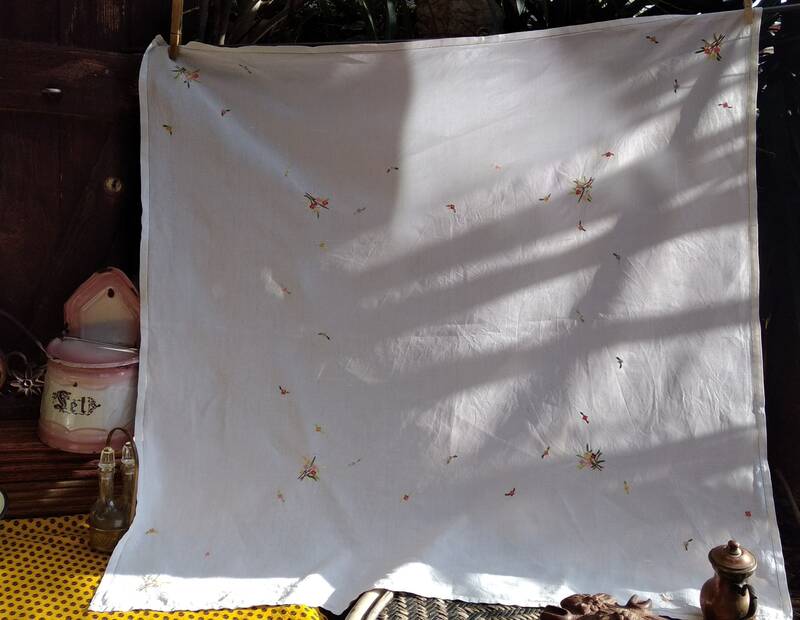 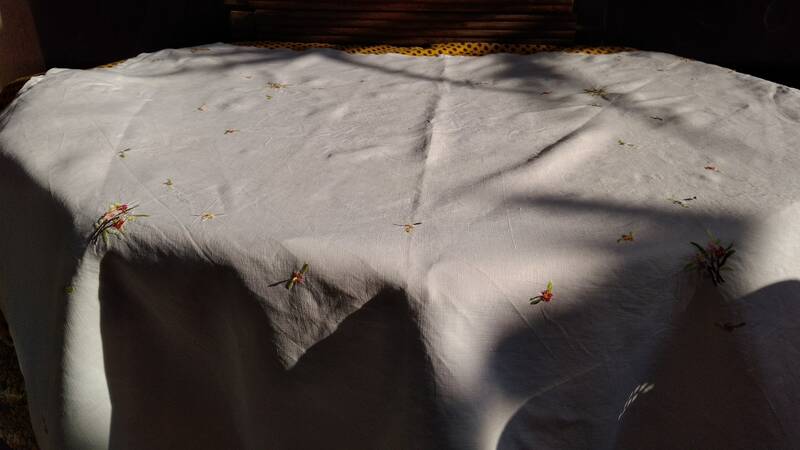 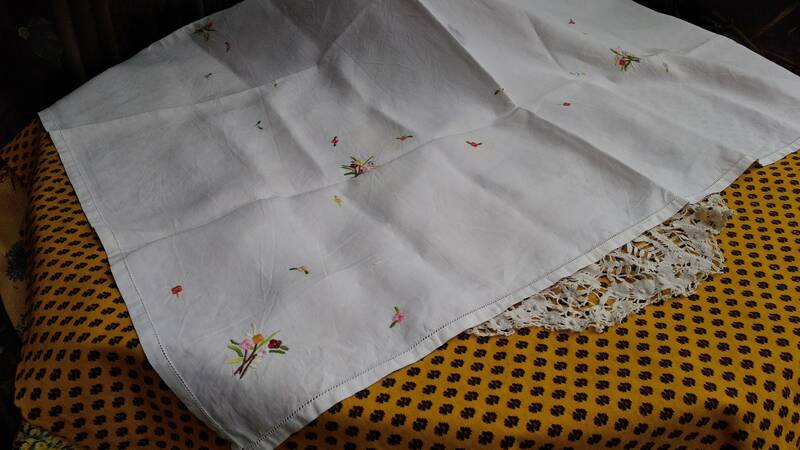 Gorgeous fine white linen tablecloth handmade and hand embroidered . 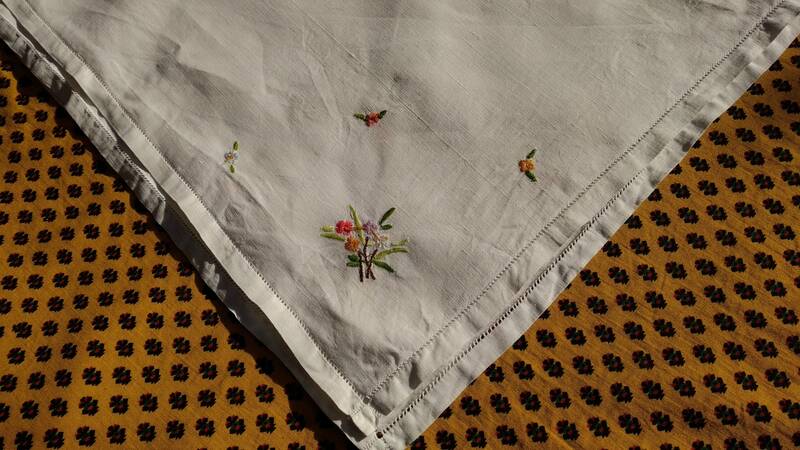 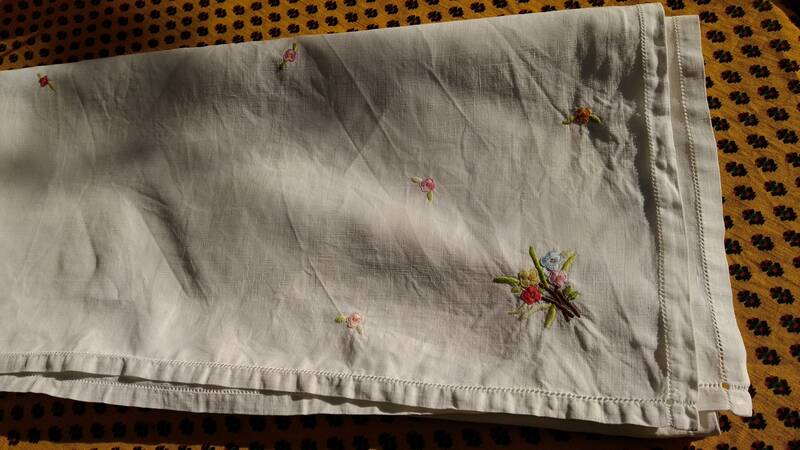 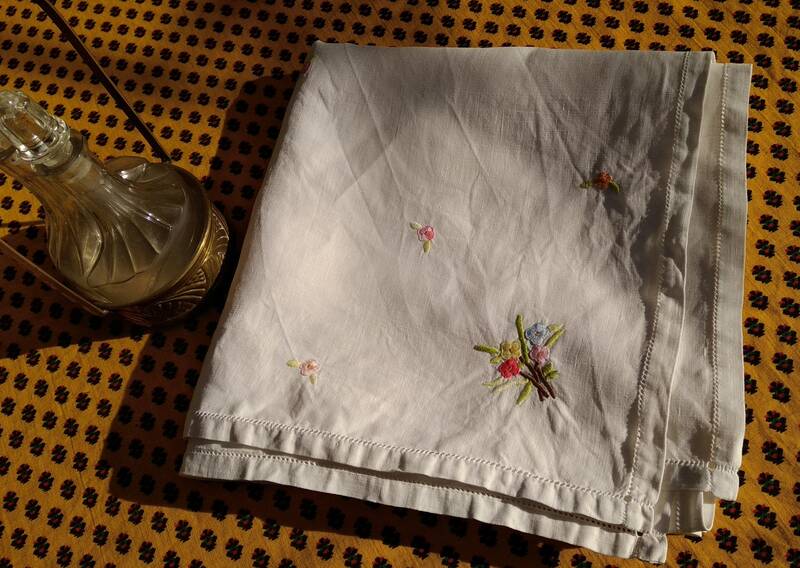 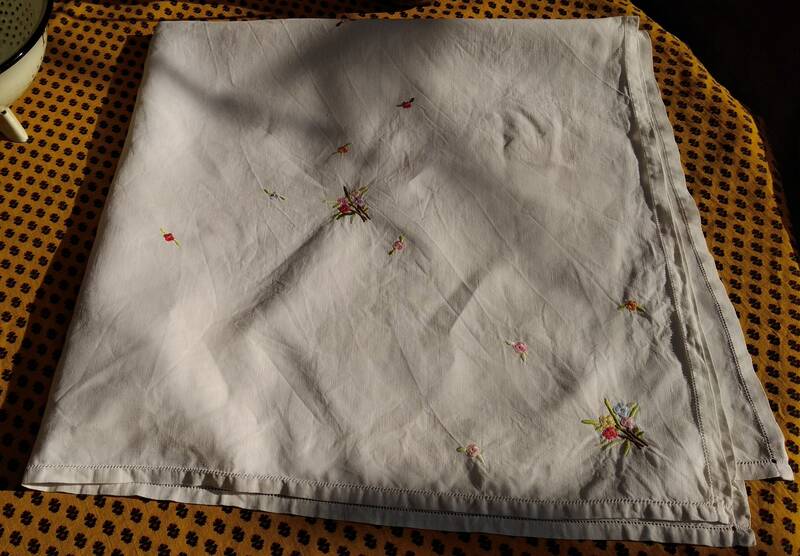 French tablecloth with floral embroideries. 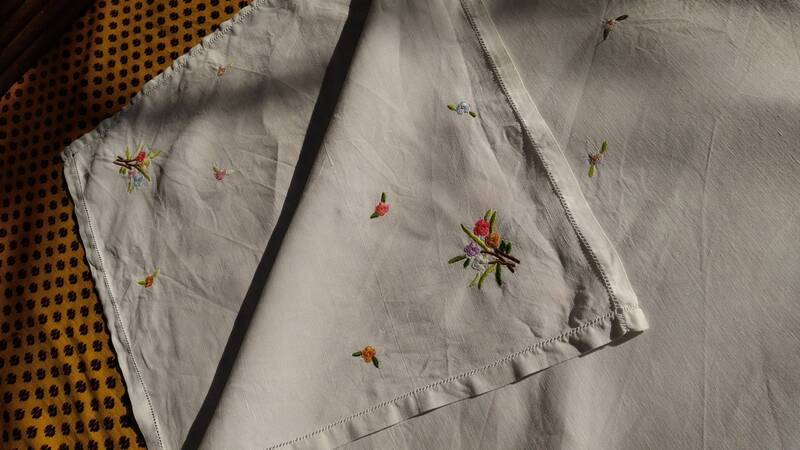 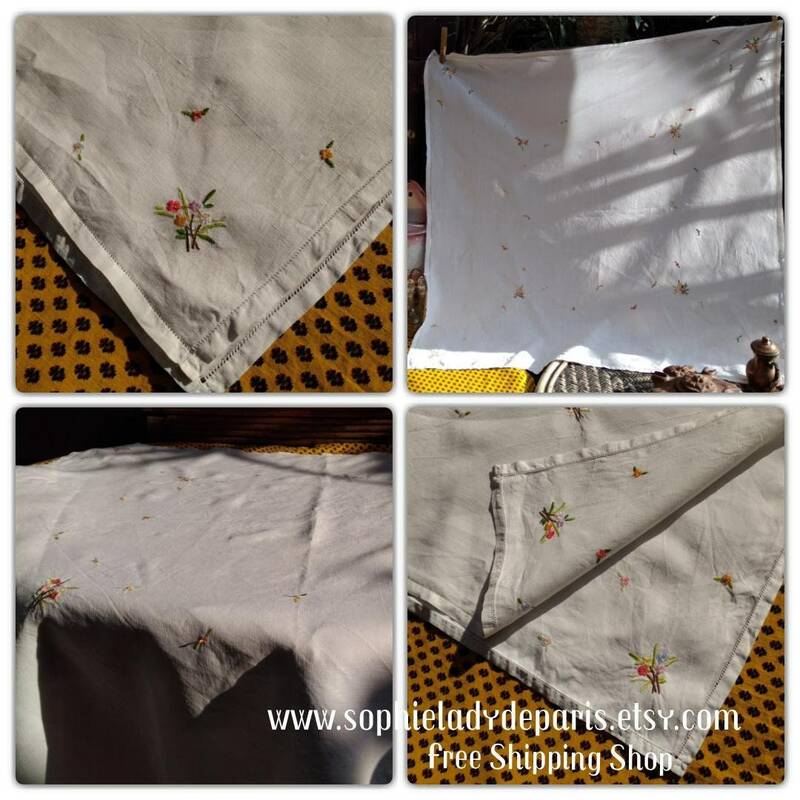 Very Beautiful fine French linen !